Everyone wants soft, hydrated lips no matter what season. AND the least amount of chemicals in their products. 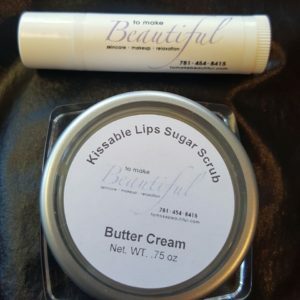 Come in and try our all natural, locally made sugar lip scrubs to exfoliate and our hydrating delicious lip balms to soften and protect your lips! Butter cream and double mint flavors! $10 for both! This entry was posted in Reviews and Compliments and tagged best spa in stoneham, kissable lips, lip hydration, lips, makeup in stoneham, plump lips, soft lips, Stoneham SPA, valentine's day.